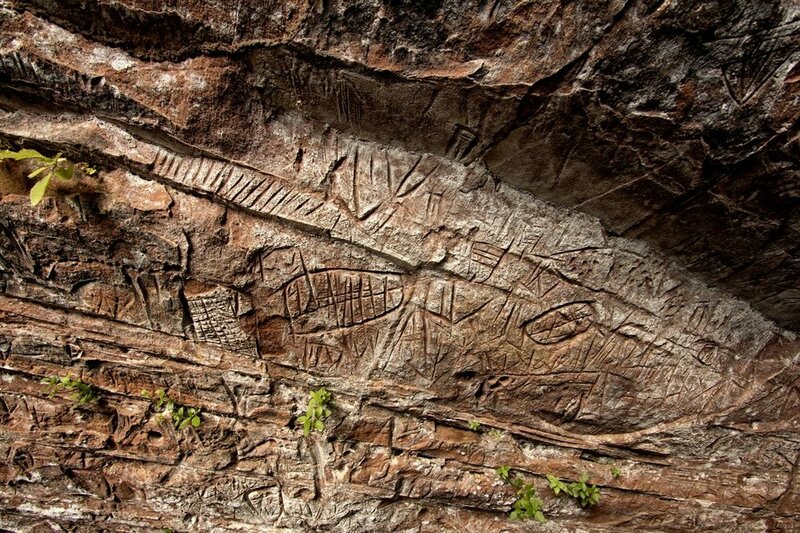 Strange and beautiful symbols are carved into the hills of Paraguay. How long have they been there, and more importantly, what do they mean? The indigenous people that consider these hills sacred have stories that shed a light into their meaning, will people listen to what they have to say? Solar Map Project is an upcoming documentary about ancient rock art in Paraguay, and the rich culture of its guardians, the Pai Tavytera indians. Our goal is to create an informative, entertaining, and compelling film that will explore the culture of a people and examine the potential threats facing this rock art. The documentary is currently in post-production, and upon completion it will be made freely available online under a creative commons license. To start our journey in understanding the rock art, we must seek those who consider these hills sacred, the Pai Tavytera indians. The Pai Tavytera are part of the ethnic group Ñande Pai Tavytera, meaning "the inhabitants of the center of the earth." As their ancestors did, they believe that the hills where they live are sacred, and that from one of the hills God created the universe. Not much is remembered before the arrivals of the Spaniards. Some scholars say the Pai Tavytera were the indigenous community that was able to escape the indoctrination of the famous Jesuit Missions. Central to the Pai Tavytera religious beliefs, and a focal point of the community, is a wood altar. The altars usually reside in the homes of spiritual leaders or important leaders. 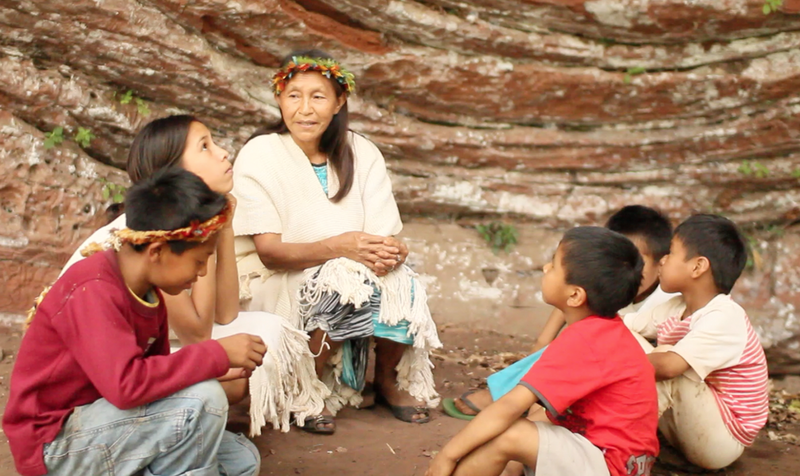 The altar is a place where they gather to worship or to discuss matters that are important to their community. 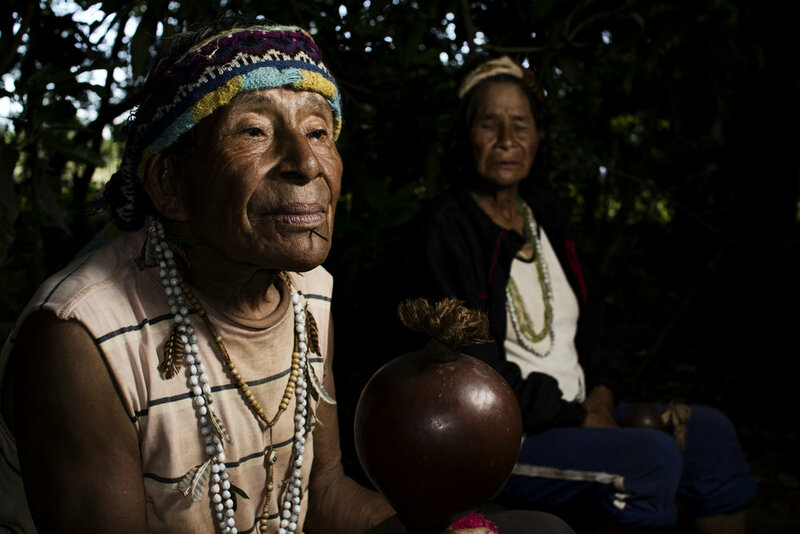 The coexistence of the Pai Tavytera with the Paraguayan society has been a difficult one. Recently, there was a protest against the government for stolen funds that were meant to fund various social programs, during which a sacred Pai Tavyterta home located in a governmental building was burned to the ground. These are difficult times for the Pai Tavytera, but they continue to hold on to their stories and traditions. As part of our project we have donated an authentic Pai Tavytera altar to the the Smithsonian's National Museum of the American Indian, in Washington, D.C.
We continue to bring to light the Pai Tavytera's plight of survival, and to record their culture through videos, articles, and social media outreach in Paraguay, in the U.S., and internationally. Rock art is the longest unbroken human tradition, found in every habitable continent. Rock art gives us an insight into the minds of those who came before us. Once it dotted the landscape, now it resides in few special places on earth. One of those place is the Amambay hills, deep in the heart of South America, Paraguay. Archeologists from the National Museum and Research Centre of Altamira have studied the rock art of Amambay, and found it to be the oldest rock art in the region. They found that the unique style of rock art, originated in the Amambay hills and spread to neighboring countries. By following the clues in the storytelling of the Pai Tavytera, and the latest scientific research we've been able to find an interesting intersection where science and ancient wisdom meet. The rock art of Amambay lasted as long as they have because they are found in remote areas. Now, with the increasing expansion of slash and burn agricultural practices, the protection afforded by trees is being removed. This, makes the rock art more vulnerable to damage from natural elements, vandals, and treasure hunters. "An outstanding example of a traditional human settlement, which is representative of a culture, or human interaction with the environment especially when it has become vulnerable under the impact of irreversible change"
— José Antonio Lasheras, Director of the National Museum and Research Centre of Altamira. First, we want a change of perception in Paraguay. The petroglyphs of Amambay are treasures, not because they are part of a legendary hidden gold, but because they are part of our shared humanity's culture, and they need to be preserved and protected. Secondly, we want to acknowledge and show the world the challenges faced by the Pai Tavytera communities in their daily lives. We want to show the beauty of their culture while they face enormous odds to preserve it. We want to inspire concrete action to respect and preserve their culture. Third, we want to make as much of this information available freely online, for anyone to access it and share it. We want to share the story of the petroglyphs of Amambay to a larger audience, an audience that might have not been initially interested in ancient rock art. Post Production on a social documentary is a lot of work: from using diplomacy with bureocratic government officials, to running out of storage on hard drives, to organizing a social campaign. Having low funds makes it harder to accomplish all our goals. We are committed to continue to promote the culture of the Pai Tavytera indigenous community of Paraguay, and the conservation of the rock art of Amambay. Together, with your help, we can continue to thrive towards these goals.